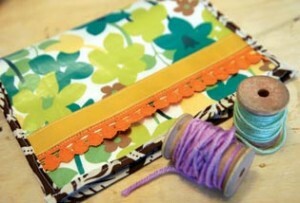 If you’re looking for some great ideas for last minute Sew Easy Holiday Gifts, you’ve come to the right place. We’ve all come together to share our favorite projects that are easy to stitch up “quick as a wink,” and here they are! What could be a better chilly weather gift than a set of these super-warm and fuzzy hand warmers? 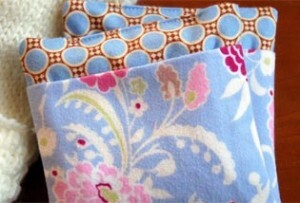 Fashionable and fabulously functional, these rice-filled warmers are designed for heating. Pop them in the microwave, drop them in your coat pockets and you’re ready to brave the cold. Click here for the downloadable PDF instructions. Create a customized, one of a kind case for a loved one to store and protect an electronic tablet. Click here for the downloadable PDF instructions. 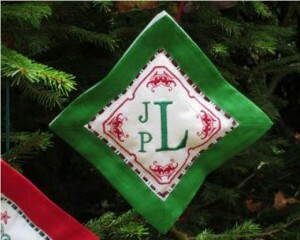 Use pretty cloth cocktail napkins to stitch up some quick ornaments. Click here for the downloadable PDF instructions. 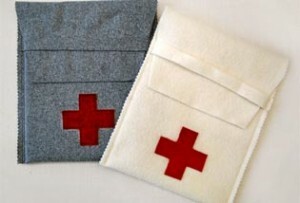 If you need to stitch something quick for a sewer, try this custom needle book. Click here for the downloadable PDF instructions. 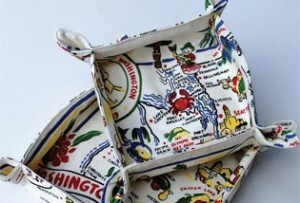 Everyone can use a set of these handy catch-all tidy trays! Click here for the downloadable PDF instructions. If you missed our earler posts, you can check back to find our Home for the Holidays ideas, our All Decked out for the Holidays post, our Wrap it Up! post and our “Piece” on Earth post for even more ideas. And be sure to check our twitter feed and facebook fanpage for even MORE ideas every day from now until Christmas!